Every year, as the Halloween celebration has continued to grow in Miami Beach’s Lakeview neighborhood, thousands of pounds of candy have been handed out. This year, one resident decided to use the community’s visibility to deliver a big message along with the treats. While traditional Halloween decorations adorned her neighbors' houses, Ragnhild Greve-Isdahl said she “wasn’t feeling the scarecrows and skeletons thing this year.” As October 31st approached, she still hadn’t done anything with her house but as a thousand people were about to descend on her, she felt the pressure mount to do something. Watching a handyman’s futile attempt to clean an old awning she got an idea to re-use it. “I don’t like to waste anything. That’s my Norwegian roots,” she said. Greve-Isdahl grew up here but lived in Norway for many years, attending high school and business school there. 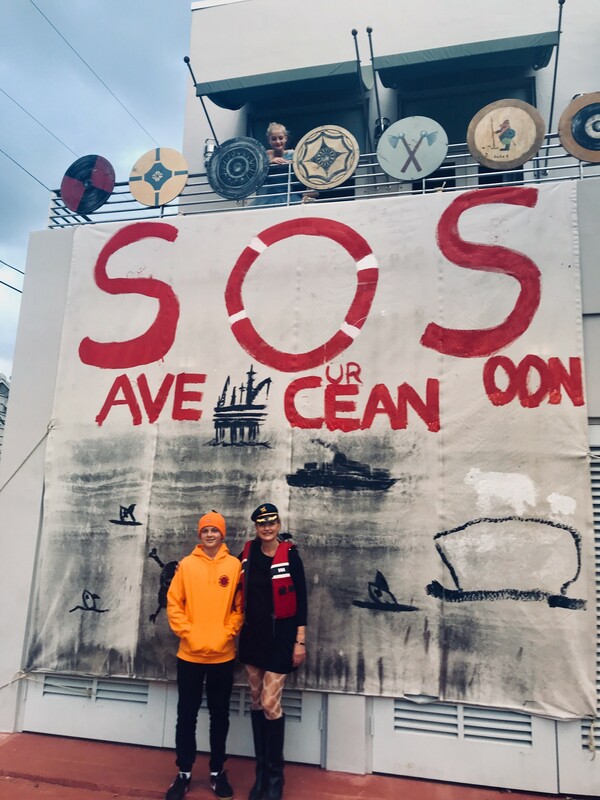 In a few hours she had painted an SOS: Save Our Oceans Soon banner that covers nearly all of her two-car garage and placed a replica of a Viking ship in her driveway which she drove to Fort Lauderdale to borrow from a friend on Halloween day. She thought of it complementing the mural as “a Viking version of Noah’s ark… when global warming takes off,” she said. The Lakeview neighborhood is no stranger to the topic of rising seas. It is an area that has remained deeply divided on how to deal with the issue with some homeowners asking for the City to raise its roads to better handle flooding while others say there’s no need. Even the Miami Heat’s Justise Winslow got in on the action, posing in front of it in his Batman costume. “Nature and the environment is kind of in my genes,” she said. “My parents taught me never leave any trace when you go outside… It’s ingrained in my culture and my family.” As an employee of the old Royal Viking Cruise Line, Greve-Isdahl remembers her father would take his family on cruises. As a result, ever since she was a young girl, the ocean has inspired her. That’s what she’s hoping the young trick-or-treaters took away from their visit to her house. The message is global and local for her. “Charity starts at home. We have to start with not polluting our tiny little Surprise Lake which is right next door.” Concern about pollution is another objection raised by area residents who worry about drainage from the City’s new stormwater pumps. A recent environmental report concluded the City is not polluting local waterways but those results have been controversial with questions from environmental activists about the extent of pollutants tested for. "The ocean has become a bigger thing for me lately,” Greve-Isdahl said. While the ocean has always been an important part of Norway’s culture and commerce, she said protecting it has become front and center. She recently attended HAVET: Norway Ocean Summit where industry, political, and media leaders discussed sustainable ocean development. Hav means ocean in Norwegian. 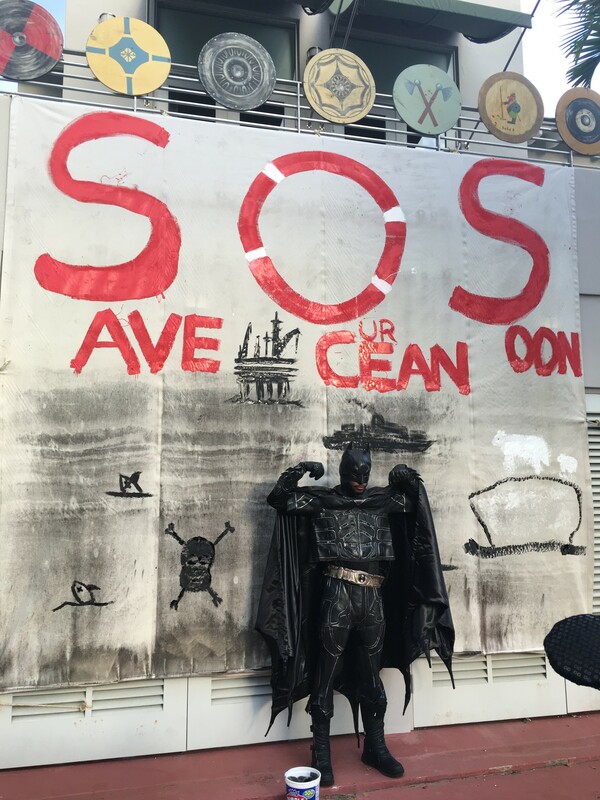 Participants also learned about Norwegian businessman Kjell Inge Røkke's initiative to "rescue the ocean" through his REV project which will conduct research and generate awareness for saving the oceans. From there, it was like a wave gaining momentum. 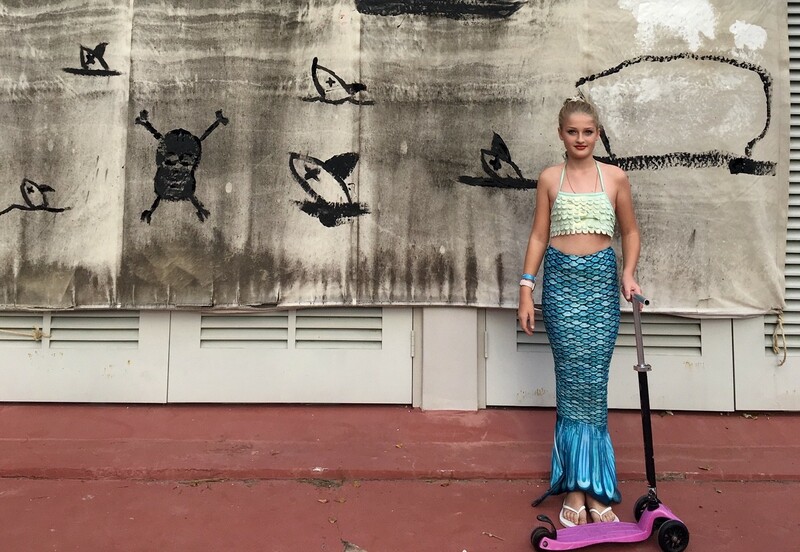 Upon her return, she attended a meeting to learn what the cruise lines were doing to clean the waste onboard then a Seakeepers fundraiser where she heard how owners offer their yachts for a certain period of time for scientific research. Halloween may be over but the banner remains. The response “was very inspiring and I thought I’m going to leave it up for a while,” she said, though she will probably take it down in time to put her Christmas decorations up. In the meantime, she’s hoping to find a home for the banner. “If I can do anything else to spread the message and to help out and to pass it on to a school afterwards then I’m happy and flattered and honored if I could get that chance.” If you’re interested in the banner, get in touch with us and we’ll connect you with Greve-Isdahl.